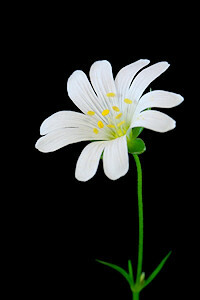 Greater Stitchwort is a common wildflower throughout most of Britain. 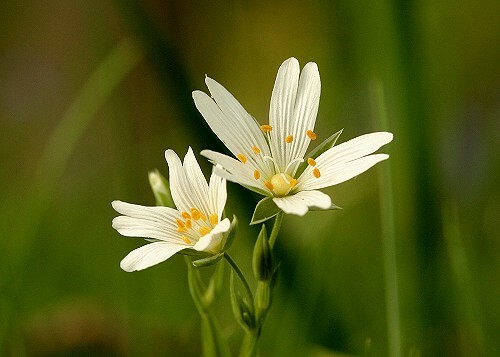 It is a pretty flower appearing in woodland and hedgerows in springtime. 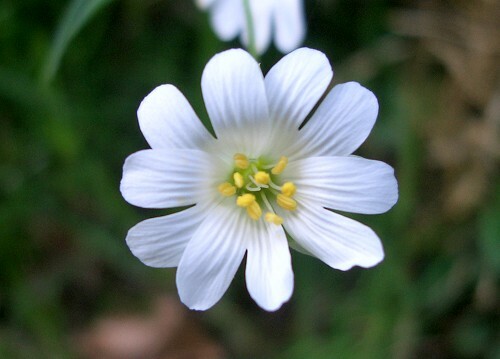 The white flowers are 2 - 3 cms across with five deeply-notched petals and five shorter green sepals. The leaves are long and narrow. Its name originates from its ancient herbal use of alleviating a "stitch" in the side.